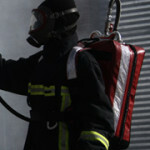 BacPac; A portable WaterMist fire fighting back pack, designed for rapid response situations..
BacPac by FireBug, a fire suppression water back pack using water mist technology to offer excellent fire fighting capabilities. We have successfully created a product that delivers a consistent, low-pressure droplet flow using significantly less water; making the BacPac ideal for rapid response situations. BacPac WaterMist operates at a genuine low pressure, atomising into billions of droplets, as small as 55 microns in size. Using cutting edge, intelligent technology allows the water mist system to tackle a blaze with a consistent droplet size and kinetic energy, essential to the effective control of small fires. 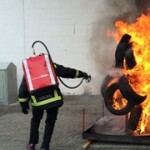 Designed for use by firefighters as well as the trained public, an easy to use piece of personal fire fighting equipment. 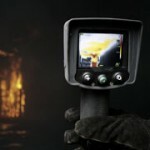 Designed to enable rapid response to the fire situation. The BacPac is perfectly suited to rubbish fires, shed fires, small car fires, bin fires, tyre fires and more!